Thomas Trunzo saw warning signs everywhere he looked. After joining the board of Emerge Family Advocates, a White River Junction nonprofit, he noticed that it was dominated by a few close associates of its executive director, Raymona Russell. For years, it appeared to Trunzo, they had given Russell carte blanche over its finances — and dismissed any board members who raised questions or sought to inspect the books. Most troublingly, he alleged in an April 2014 complaint to state authorities, Russell had been paying herself more than her board-approved salary. "It took a long time for the [Vermont Attorney General's Office] to get on the case," said Trunzo, a Lebanon, N.H., attorney. "It went on for years without anybody responding to the red flags," he said. To Trunzo, the episode illustrated a lack of government oversight of Vermont's sprawling nonprofit sector. Though the state is home to more than 6,000 federally recognized nonprofits, it employs a single assistant AG to ensure their compliance with Vermont law. And unlike most New England states, it does not require nonprofits to file regular financial reports. The federal government does require them to file, but it lacks the resources to comb through the reports. Over the last decade, according to an Internal Revenue Service report, the agency's enforcement staff has declined by a quarter. Since a peak in 2011, the number of nonprofit filings that IRS agents have examined has dropped from 11,699 to 6,101 — or about 0.77 percent of those submitted. "Congress has refused to provide the resources the IRS needs to provide staff and oversight for much of its work," said Jennifer Chandler, vice president of the Washington, D.C.-based National Council of Nonprofits. "It's not that the IRS is doing nothing, but if they had more people, they could be a much more engaged deterrent." In the absence of federal oversight, it has fallen to state AGs to pick up the slack, according to Cindy Lott, academic director of Columbia University's Nonprofit Management program. "It's really become a state-level issue, on a lot of fronts, to make sure this is being taken care of," she said. Whether AGs are getting the job done isn't clear. "Enforcement is very difficult to measure," Lott said. That's because highly publicized lawsuits and trials capture only a sliver of a regulator's work. "At times, it's quiet enforcement," she said. "They're not trying to kill off the charity." In Vermont, authorities eventually took Trunzo's allegations seriously. The Attorney General's Office launched an investigation of Emerge Family Advocates, a state- and federally funded organization that provided supervision for parental visits in child custody cases. In October 2014, the AG accused Russell of writing paychecks to herself on an "irregular and inconsistent basis" and paying herself $5,000 to $10,000 a year in excess of her board-approved salary. Moreover, authorities said, the nonprofit's board had "repeatedly failed to provide necessary independent oversight over the organization's finances." "This failure threatens Emerge's mission and has put its current funding in serious jeopardy," then-AG Bill Sorrell wrote. In a court filing, he called for a suspension of the nonprofit's services until new leadership could be installed. "We decided the only way to protect charitable assets was to remove the board and put a receiver into place," said Assistant AG Jamie Renner, who oversees nonprofit compliance in the AG's consumer protection unit. Russell defended herself in the press, characterizing herself as an overworked, underpaid nonprofit leader who had been "nothing but transparent." But the court sided with the state and stripped the board of its authority. Within a year and a half, the court-appointed receiver obtained permission to dissolve Emerge. No criminal charges were ever filed. Russell could not be reached for comment. Though Trunzo eventually prevailed, he believes the situation could have been averted. "If Vermont had a more stringent reporting requirement, maybe the Emerge mismanagement would never have happened," he said. Things might have turned out differently, too, if the nonprofit had been based on the other side of the Connecticut River. In neighboring New Hampshire, home to the country's first "charitable trusts unit," its 10,000 nonprofits are required to register with the Attorney General's Office and adopt a conflict-of-interest policy before they can conduct business. Each year, they must file a financial report — the federal Form 990 suffices for larger organizations — and disclose whether board members or their families have received excessive pay or loans from the nonprofit. "We have a set of eyes review every report, and we ask questions," said Tom Donovan, who heads the New Hampshire Department of Justice's Charitable Trusts Unit. Donovan's staff of eight pore over the filings and look for potential conflicts of interest, bloated salaries, sustained deficits and potential theft. When the unit discovers something amiss, it provides advice, mandates training or takes enforcement action. According to Donovan, his staff routinely uncover wrongdoing, though nonprofits are typically the victims, not the perpetrators. Embezzlement and other forms of theft are "very common," he said, but charities often try to hide it because they're embarrassed. "Unless you go public with it and report it to the police, these people will do it over and over again, because some thieves know that nonprofits are easy marks," Donovan said. "[Boards] don't apply the sorts of oversight that they would in a regular business." Few states regulate nonprofits as aggressively as New Hampshire. A 2016 survey by the Washington, D.C.-based Urban Institute's Center on Nonprofits and Philanthropy found that 31 percent of states and territories had less than one full-time charity enforcement staffer, while another 51 percent had one to 9.9 staffers. Just 13 jurisdictions had a dedicated charities bureau, and 22 required nonprofits to file audited financial statements. Vermont is a mixed bag. The state keeps a watchful eye on the commercial fundraisers that some nonprofits hire (see story), but it barely regulates the nonprofits themselves. Like any corporation, they must file with the Secretary of State's Office. But according to Deputy Secretary of State Christopher Winters, "Once you've filed, we have no enforcement authority. We have no enforcement staff." Even the Attorney General's Office has only "specific and limited" oversight responsibilities, according to Renner, the assistant AG charged with enforcing the Vermont Nonprofit Corporations Act. "Our primary role is to make sure that nonprofits use their assets in line with their charitable purpose," he said. Because Vermont charities are not required to register with or provide regular reports to the Attorney General's Office, Renner has few opportunities to monitor compliance with the law. Much of his oversight work focuses on ensuring that when a nonprofit dissolves, it directs any remaining assets to entities that will use them in the manner intended by donors. That didn't happen when, in 2012, the United Way of Bennington County closed up shop because of insufficient funding. After most of its board resigned, money continued to flow into the shuttered nonprofit's bank account. Its two remaining board members, Valerie Shemeth and Welthy Myers, decided to distribute the more than $48,000 to local organizations. According to the Attorney General's Office, the recipients included two entities led by Shemeth: Her nonprofit Gallop to Success received $11,500, and her for-profit Kimberly Farms received $7,000. Shemeth did not return calls seeking comment. Myers, a retired nonprofit leader, said the situation had made her uncomfortable. "At the time, I told her I had great reservations about it," she said. 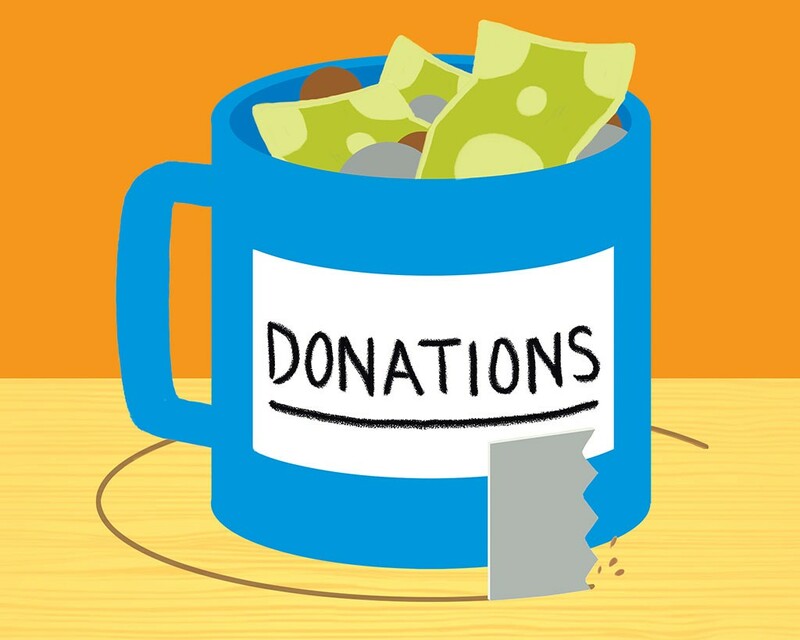 "In the nonprofit world, one gets very cautious about money going to directors." The Attorney General's Office intervened and, last September, settled with the two women. Shemeth agreed to repay the United Ways of Vermont, and both were prohibited from serving on a nonprofit board until they completed a training course on fiduciary responsibilities. "I thought that was kind of ridiculous," said Myers, who was not accused of steering money to herself. "But I'm 85 years old. I'm not going to go out and work in the nonprofit sector again, probably." The Attorney General's Office isn't alone in overseeing the state's nonprofits. The U.S. Attorney's Office for the District of Vermont prosecutes federal crimes involving charitable organizations, though it treats them no differently from any other corporation. "We don't draw a distinction as to whether it's a nonprofit or not," said spokesman Kraig LaPorte. "We look to see if it's a violation of the law." The office's biggest cases have focused on fraud committed by the state's nonprofit hospitals. In 2005, the president and CEO of what was then Fletcher Allen Health Care, William Boettcher, pleaded guilty to defrauding state regulators over the projected cost of a hospital addition. He was sentenced to two years in prison. More recently, Lebanon, N.H.-based Dartmouth-Hitchcock medical center and Brattleboro Memorial Hospital settled Medicare and Medicaid fraud cases. The U.S. Attorney's Office has also investigated whether leaders of a failed educational nonprofit, Burlington College, misrepresented the institution's assets when applying for a bank loan. The probe, which has not resulted in charges, has drawn national scrutiny because the focus of the investigation appears to be Jane O'Meara Sanders, a former Burlington College president and the wife of Sen. Bernie Sanders (I-Vt.). One of the most memorable federal prosecutions of a local nonprofit employee came in December 2015, when Hunger Free Vermont learned that its longtime finance director, Sally Hartford Kirby, had embezzled $165,000 from the South Burlington organization. The next year, Kirby was sentenced to 15 months in federal prison and ordered to pay more than $178,000 in restitution. "Embezzlement shakes everybody to the core," said Hunger Free Vermont board chair Darren Allen. When the organization realized what had happened, Allen said, it did not hesitate to disclose the news. "We all firmly believed that being transparent and timely with our supporters, our friends and the public was the only course to take if we were going to continue as an organization." Would greater state regulation have kept Kirby from committing the crime? Allen's not so sure. "This doesn't just hit nonprofits. It hits town governments. It hits private corporations," he said. "If someone is hell-bent — particularly if they're a trusted and beloved member of the team — if they're hell-bent on creating harm, I would never underestimate the ingenuity of human beings." The original print version of this article was headlined "Scrutiny on the Bounty"
In this episode, Bryan speaks with some magic mushrooms about art, nonprofits and nurses.